John Brown, 1850s. Click for prints & products. Though the pro-slavery tickets had won the earlier elections in 1854 and 1855, the results were not accepted by free-soilers and a rival government was set up at Topeka in October 1855. Southern sympathizers – not only from Missouri but from as far away as Alabama – began to form paramilitary bands to destroy the abolitionist power in Kansas. On December 1, 1855, a small army of Missourians, acting under the command of “Sheriff” Jones, laid siege to Lawrence in the opening stages of what would later become known as “The Wakarusa War.” The intervention of the new governor, Wilson Shannon, kept the proslavery men from attacking Lawrence. But, later when a young man, who had come to the aid of the Free-Staters, rode off to his home about six miles west of Lawrence, he was met on the way by a group of pro-slavery men from Lecompton. Though the man never even drew his weapon, he was shot in cold blood by the pro-slavery faction. His body was returned to Lawrence where the entire citizenry followed it to its burial, in the presence of his young wife and children, in Pioneer Cemetery. This event, more than any other, hardened the Free-Staters to the realization that they had come, not simply for an election to determine whether Kansas would be a free or slave state, but to fight a war over the issue. Anti-slavery Jayhawkers clashed with Bushwhackers from neighboring Missouri as the two sides were provoked to bitter and often bloody struggles in Kansas Territory to sway the popular decision to their own favor. Both sides were abetted by desperadoes and opportunists where people were tarred and feathered, kidnapped, and killed. Confrontation and deadly skirmishes over the issue of slavery would continue in the Kansas Territory for the next five years in an era to be forever known as “Bleeding Kansas”. The word Jayhawker came from a mythical bird that cannot be caught. At first, the term was applied to both the pro-slavery and abolitionist rebel bands. But, before long it stuck to the anti-slavery side only. Those that favored the Confederacy soon earned the name of Bushwhackers because they primarily lived in the “bush,” or country and their legs “whacked” the bushes as they rode. Both sides would eventually include semi-legitimate soldiers, and even grudgingly acknowledged by the Union and Confederate forces. However, other members of these two groups were simply bandits who had a quasi-military excuse for ambush, robbery, murder, arson, and plunder. In 1856 the proslavery territorial capital was “officially” moved to Lecompton, Kansas. In April of that year, a three-man congressional investigating committee arrived in Lecompton to look into the Kansas troubles. The majority report of the committee found the elections to be fraudulent and said that the Free-State government represented the will of the majority. The federal government refused to follow its recommendations, however, and continued to recognize the proslavery legislature as the legitimate government of Kansas. On May 21, 1856, a motley group of more than 500 armed pro-slavery enthusiasts raided Lawrence, the stronghold of the abolitionist movement. They burned the Free-State Hotel (now the Eldridge Hotel), smashed the presses of two Lawrence newspapers, ransacked homes and stores and killed one man. Not only was violence erupting in Kansas, but also in Congress itself. 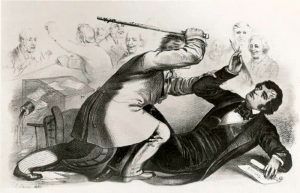 On May 22, 1856, Massachusetts Senator Charles Sumner was beaten unconscious by Preston Brooks, a congressman from South Carolina. Sumner had, just three days previously, made a fiery speech called “The Crime Against Kansas,” in which he accused proslavery senators, particularly Stephen Douglas of Illinois and Andrew Butler of South Carolina of cavorting with “the harlot, Slavery.” Preston Brooks, the nephew of Andrew Butler, believing that Sumner had insulted his uncle, walked into Sumner’s chambers where he slammed a metal-topped cane onto his head time and time again. His injuries stopped Sumner from attending the Senate for the next three years. The caning of Sumner became a symbol in the North of Southern brutality. 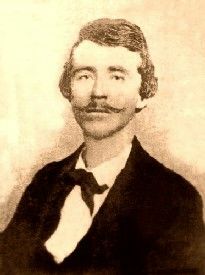 Meanwhile, while Brooks was initially censured for his actions, he became a hero in the South for defending the Southern honor and was subsequently reelected by his constituency. On May 24, 1856, John Brown, self-appointed avenger, four of his sons and two other followers, raided a settlement on the Pottawatomie Creek in Franklin County, Kansas dragging five innocent proslavery men from their homes, they hacked them to death with artillery swords. 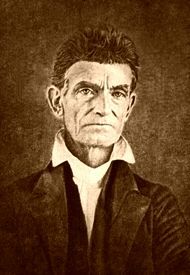 After Osawatomie, John Brown earned the nickname “Osawatomie Brown” as he led anti-slavery guerrillas in the fight for a free Kansas during the rest of the year. In retaliation, the town of Osawatomie was attacked by 400 pro-slavery Missourians in August 1856. John Brown, along with forty other men defended the town, but in the end, all but four homes at the settlement were burned by the invaders and John Brown’s son Frederick was killed. Four wagon loads of dead and wounded were brought into Boonville, Missouri when the invading army returned. In September of 1856, a new territorial governor, John W. Geary, arrived in Kansas and began to restore order. However, his tenure was to be a short one as, when, in 1857, the Lecompton legislature met, it became clear that free elections would not be held to approve a new constitution and Geary resigned. Robert J. Walker was then appointed governor, and a convention was held at Lecompton where a constitution was drafted. Only that part of the resulting pro-slavery constitution dealing with slavery was submitted to the electorate, and the question was drafted to favor the pro-slavery group. Free-State men refused to participate in the election with the result that the constitution was overwhelmingly approved. 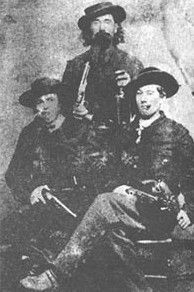 1857 was also the year that saw William Clarke Quantrill’s arrival upon the scene. The former Ohio school teacher moved to Kansas and took up farming for a time. However, he quickly honed his violent nature by living with thieves and murderers, committing several brutal murders during this time. The next year he rode West with a wagon train, supporting himself through gambling. Later he would return, taking an active part in the bloody battle between Kansas and Missouri. Despite the dubious validity of the Lecompton Constitution, President James Buchanan recommended, in 1858, that Congress accept it and approve statehood for the territory. Instead, Congress returned it for another territorial vote, moving the nation closer to war.